There’s no question this town is softball-crazy. Some players are crazier than others (I’m looking at you, Drew), and that unbridled passion for the sport, and the community, comes together August 12-13 for the 16th Annual Ball Bash softball tournament. The tournament comes the weekend prior to the wrap-up of the local leagues and could possibly have a debilitating effect on the finals, but the Ball Bash is for a great cause—raising money for scholarships for local youth sports, and an underlying celebration of Tommy V’s life. The Ball Bash has grown over the past several years, peaking at 14 teams last year. 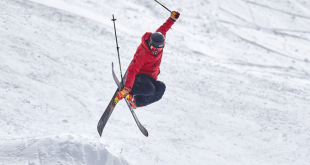 This year, tournament organizer and recreation supervisor for the town of Crested Butte Kyle Thomas decided to cap the tournament at 12 teams in an effort to go with quality over quantity. The breakdown of talent is perfect with six local teams in the mix (GO Tommyhawks!) 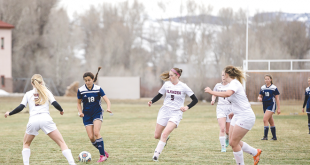 and six teams from out of town, including defending champions Wet Grocer out of Gunnison, three teams from Montrose and a squad from both Glenwood Springs and Telluride. Teams will be divided into three brackets of four teams, playing within their bracket all day Saturday using all three fields, arguably the nicest and possibly highest softball fields in the nation, starting at 8:30 a.m. The day wraps up at Tommy V Field for the annual Ball Bash Home Run Derby at 5 p.m.
Here’s a bit of history to this fan-favorite event. The Crested Butte News used to sponsor this event “back in the day” and hosted it at Pitsker Field. There were no regulations about bats and therefore it was a veritable fireworks show at Pitsker, as hitters blasted shots over the fence, over the bank, into the tennis courts, into the yard of the blue house behind the bank, all the while flirting with the windshields of passing cars. But as will happen, concern for lawsuits soon dominated the conversation and thus those days of unbridled gripping and ripping ended. The derby is no less exciting these days though, as Tommy V Field provides a showcase of pure power and separates the wannabes from the real deal. You go yard at Tommy V and it’s more than luck. The derby is capped at 30 participants, both men and women, is $20 to enter and is open to anyone. You need not be on a team to compete. Each hitter gets a total of 10 swings with points tallied based on where the ball lands. For the men landing on the warning track is one point, off the fence in the air is two points and over the fence is three points. For the women, hitting the outfield in the air is one point and over the coed line is two points. New this year is the “Money Ball.” The 10th swing is the money ball and worth double points. Ryan Wilson out of Glenwood Springs took the title last year for the men and Ali Yanni of Crested Butte won the women’s title. This year there are rumors that a guy once drafted by the Houston Astros will be in town for the derby, but that’s just a rumor. Winners get a commemorative Ball Bash Home Run Derby flask and their entry money back. Saturday evening Thomas and associates will look at the records and the scores of the games Saturday to then figure out the seedings for Sunday’s games. Seedings will be based on the records first with a slew of tiebreakers to get it all squared up for Sunday. “It’s the same seeding format we use for league play and puts the emphasis on pool play,” says Thomas. The top four teams will get a bye with the other eight teams playing in round one; the entire day is a single elimination format. It all comes to a head at 3:30 p.m. as the last two teams standing will face off in the championship game at Tommy V Field. Following the game, champions and runners up will be crowned, the John Wheeler Sportsmanship Award and the Tommy Ruben Villanueva MVP Award will be announced. The Ball Bash walks the fine line of competitive play and fun in the sun and in the end, gives back to the community as proceeds from the tournament go to support the Crested Butte Parks and Recreation Youth Scholarship Fund as well as the Tommy Ruben Villanueva Sports and Recreation Fund.